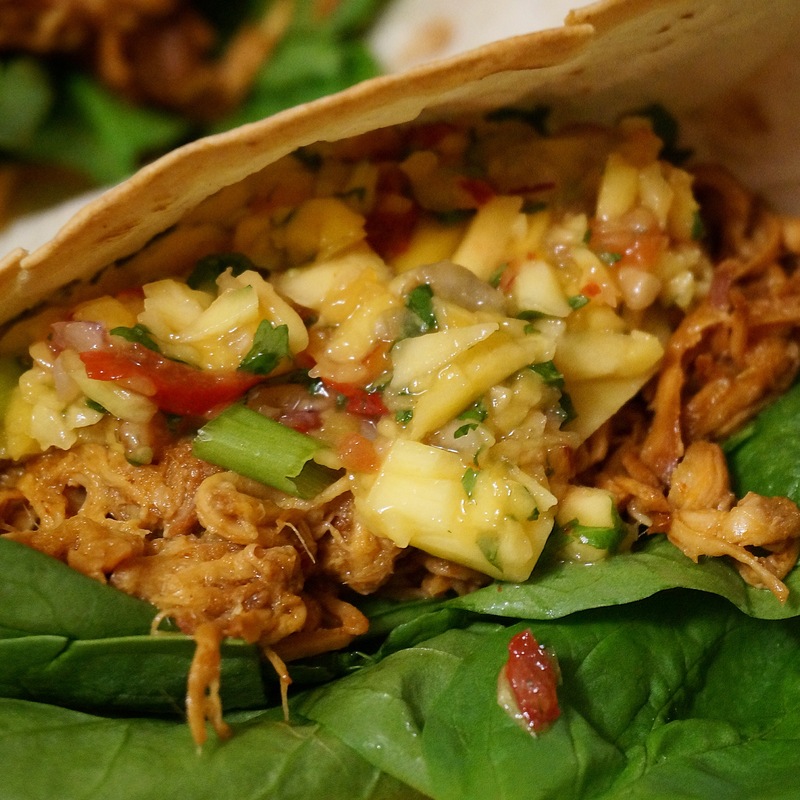 Here’s a healthy and summery recipe that comes together in just a few steps! 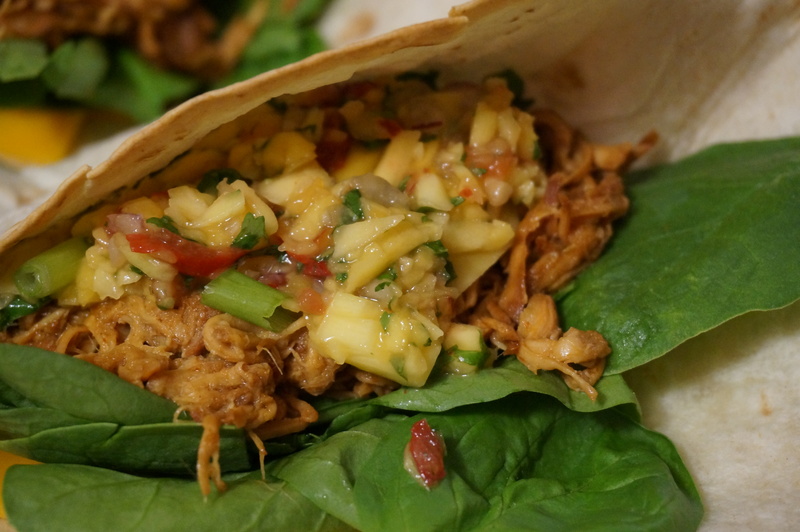 Kitchen staples like a food processor and crock pot make these tacos a breeze to make! 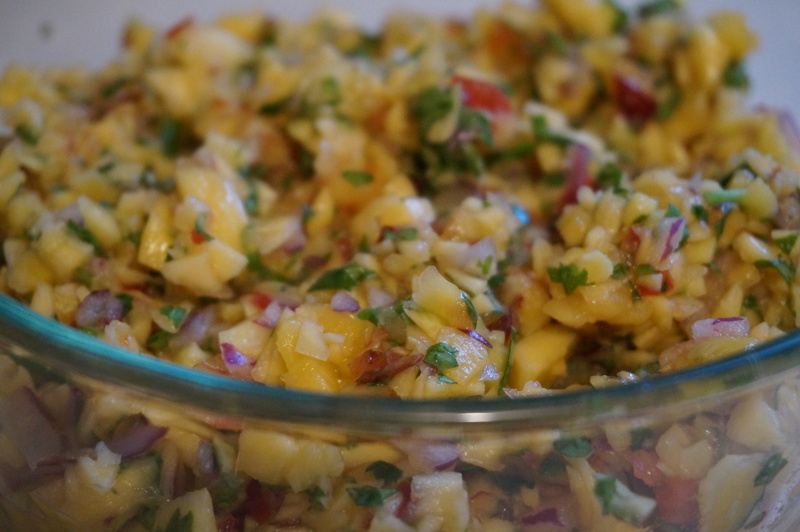 Serve with mango salsa to add some sweetness and tang! Toppings: cheese, spinach, sour cream, green onion, etc. Slice mango and peach into small chunks. 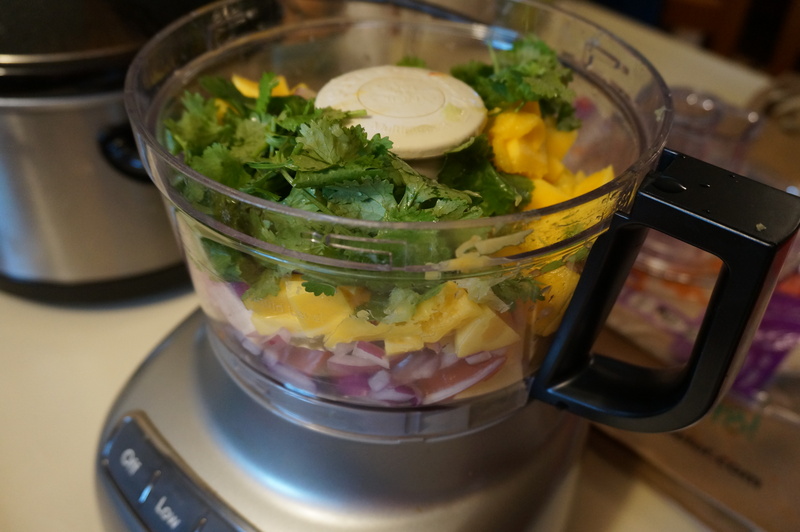 In a food processor, add mango, peach, onion, cilantro, green onion, juice of 1/2 of the lime, and tomato. Pulse a few times until combined- but don’t overdo it! 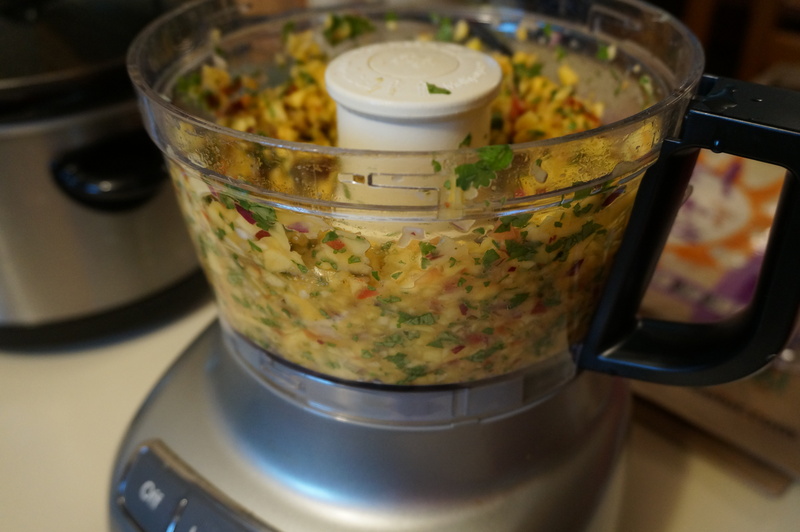 Remove from food processor and refrigerate for at least an hour. Spray the slow cooker with cooking spray and place chicken breasts on the bottom of the pot. Drizzle with olive oil. 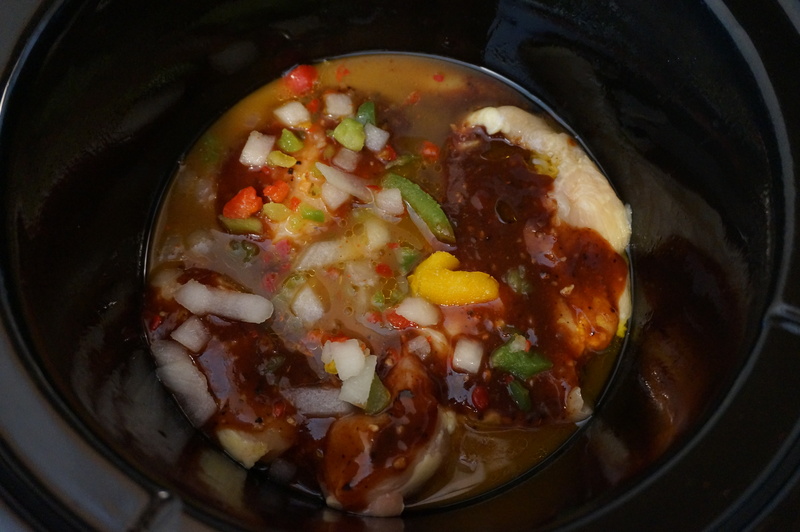 In a small bowl, stir the mole, ketchup, BBQ sauce, juice of the other 1/2 lime, orange juice, and garlic until thick. Pour over chicken. Add peppers and onions on top. Set crock pot to low and cook for 6-7 hours. 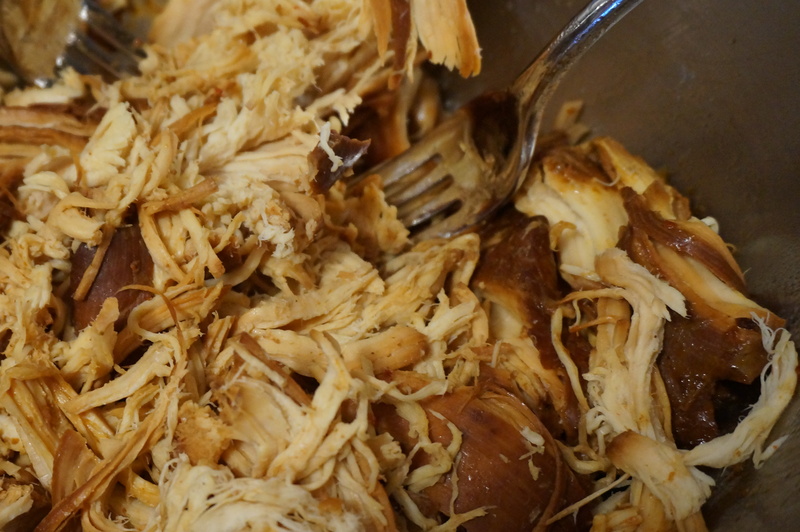 Remove chicken from crock pot and shred with two forks. Return to the pot for 10 more minutes to allow the juice to marinate the chicken. When ready to serve, top tortillas with toppings of your choice (I used spinach and cheddar cheese) and a spoonful of the salsa. Dinner is served! 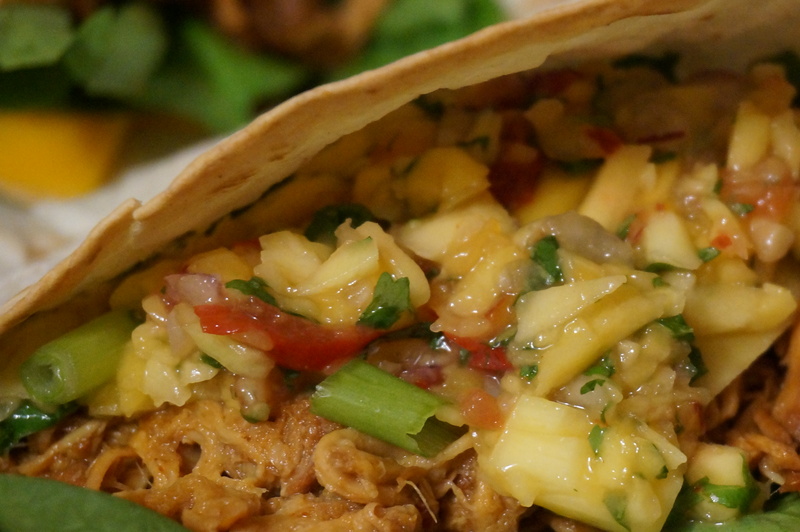 What are your favorite easy summer recipes? Coconut Vanilla Reboot Smoothie- Vegan and Dairy-Free!